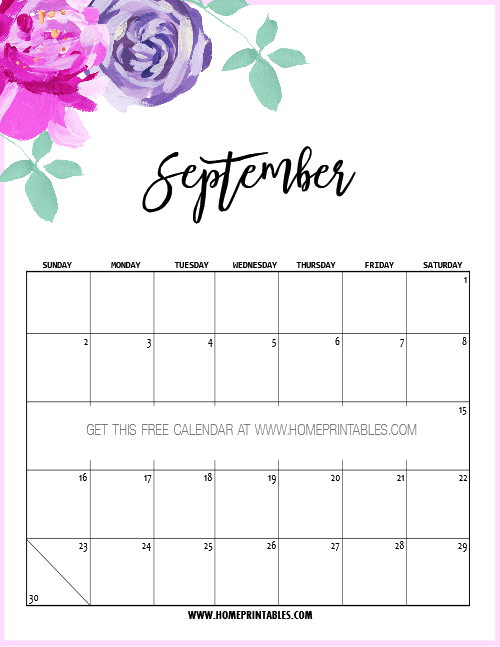 10 September 2018 Calendar Printables for FREE Download! 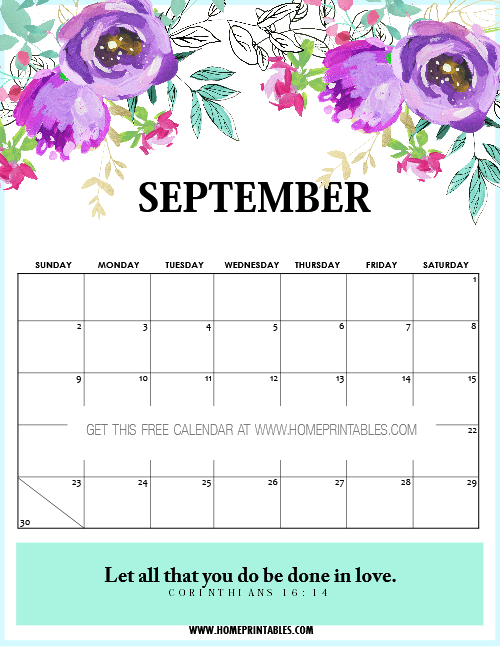 September 2018 Calendar: 10 FREE Printables! 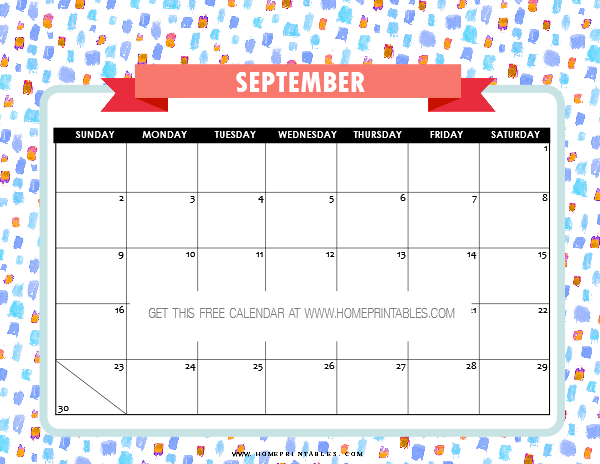 We’re happy to release our free September 2018 calendar printables on the blog today! So if you’re scouting around for a pretty calendar to print, scroll along as we have 10 designs for you to choose from. They all come in unique style to give you a variety of options. We’ve even added Halloween themed calendars that you can also print for FREE! We like to use printed calendars to manage our monthly schedule. We feel more in control and organized. Do you feel the same way, too? Amidst all the digital calendars, it’s still nice to use a printed ones. 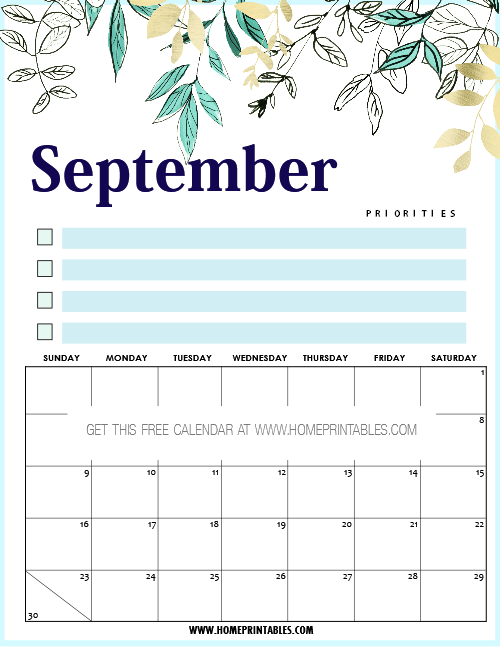 Keep scrolling to view and grab the lovely September 2018 calendar printables that we’re sharing! 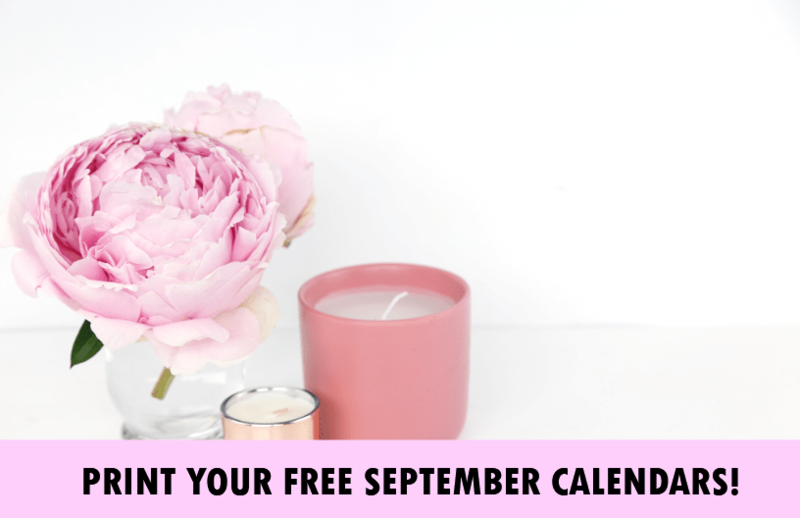 Free September 2018 Calendar Printables For You! The first calendar that we have here for you come with design elements in watercolor. It has a truly refreshing vibe! I mean, look at those vibrant greens! The second calendar that we have here for you has an inspiring Bible verse on it that says, “Let everything that you do be done in love.” Plan out your month using this verse as your guiding light! Looking for a calendar in playful print? This is the perfect one for you! This calendar comes ihn cheerful colors and happy print. You can use this calendar as a countdown calendar for special events. You can also print this for your kids! Moving on, the next free September calendar that we have here comes in minimalist style. If you need a calendar that looks clean, then this is the one for you! We love the simplicity of this one! The next calendar that we have here will help you stay focused monthlong. It has a spot for you to write down your priorities for the month so you are always on the goal. 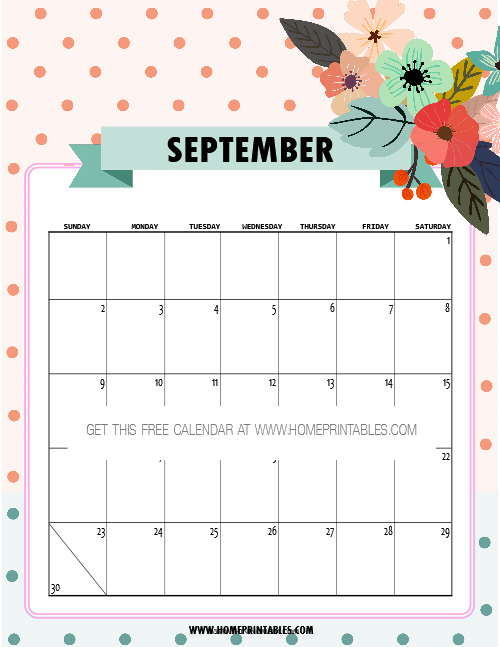 This free calendar also makes a great addition to your planner or binder! 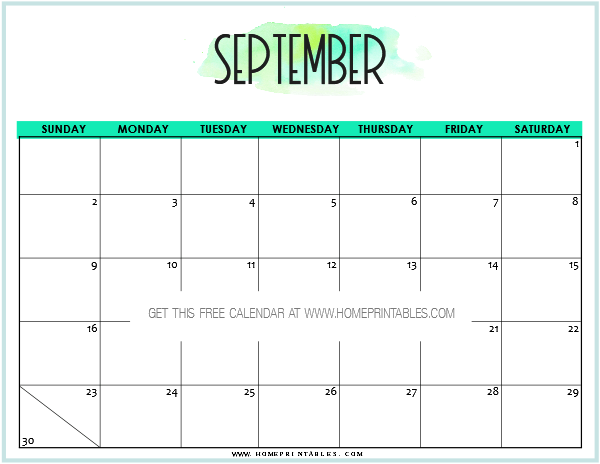 Looking for a dainty calendar to use in September? You might like to use this next one that we’re sharing. It comes with pretty hand-painted pink and purple flowers. You can use this calendar for your home and office as it will sit prettily on your table! 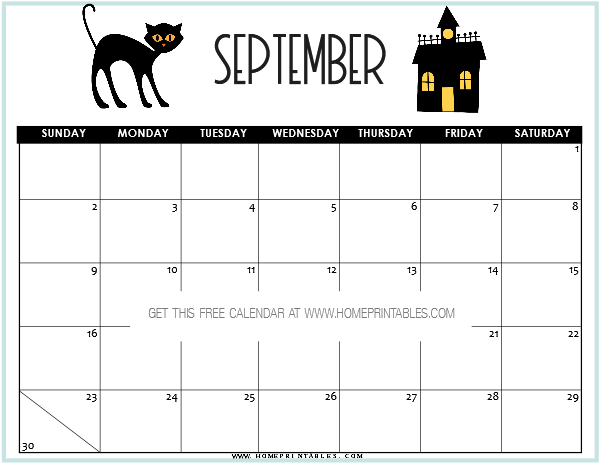 Free September Calendar in Spooky Theme! It’s not yet the time for Halloween, we know, but we also came up with really fun and cute spooky calendar that’s also for free download. Look! The next calendar that we have here for you is another pretty one. Look! We love the dotted background that contrasted with the flowers. How cute! Where do you want to use this? For your meal planning perhaps? 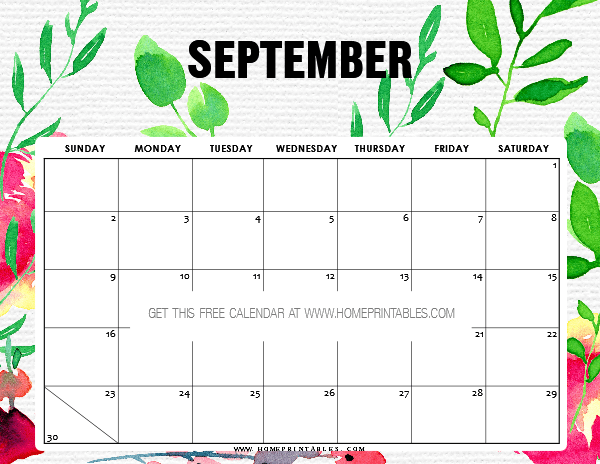 Interested to use these free printable September calendar designs that we have just shown you? Snag your copy HERE for the horizontal calendars and HERE for the vertical calendars. These calendars are designed for printing is US standard letter-size paper but can also be printed in A4. That’s all for now. Have an amazing September!